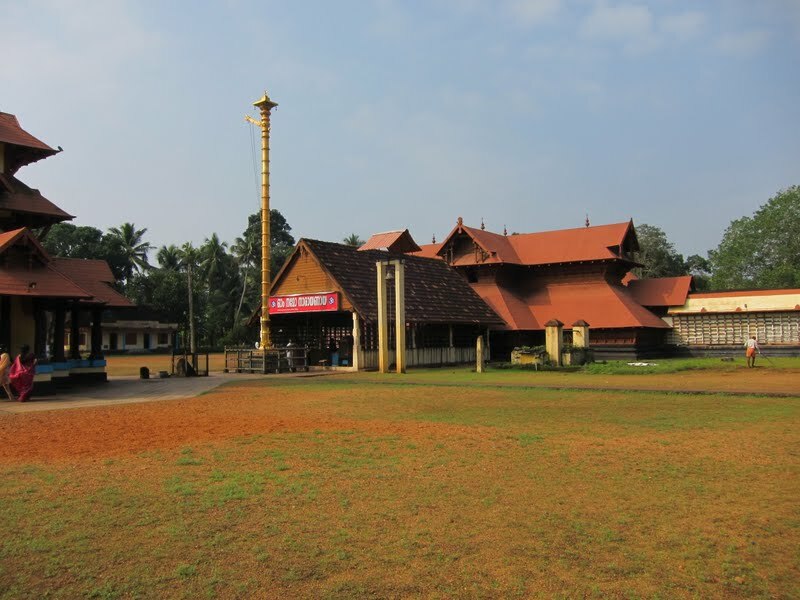 Thiruvalla Sree Vallabha Swamy Temple is a very pristine temple of 4000 years old. 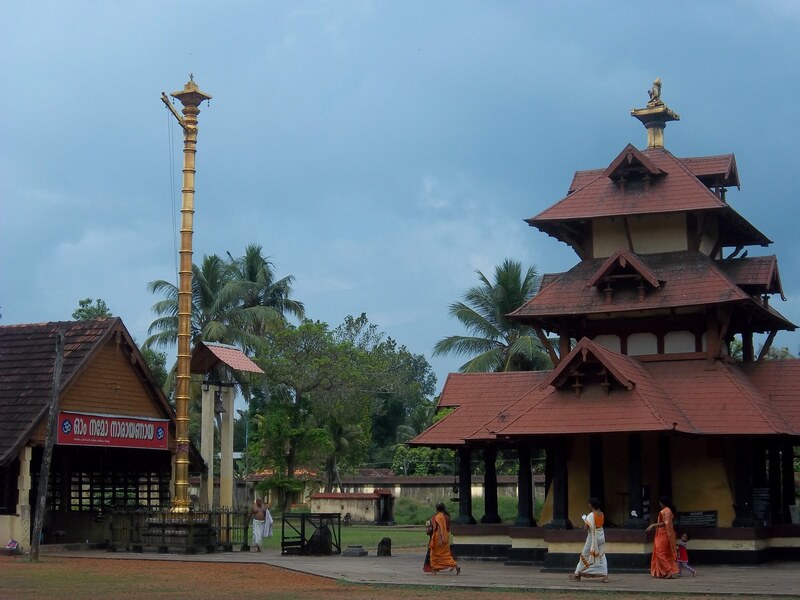 It is situated at Kavumbhagam of Thiruvalla Town in Pathanamthitta District. 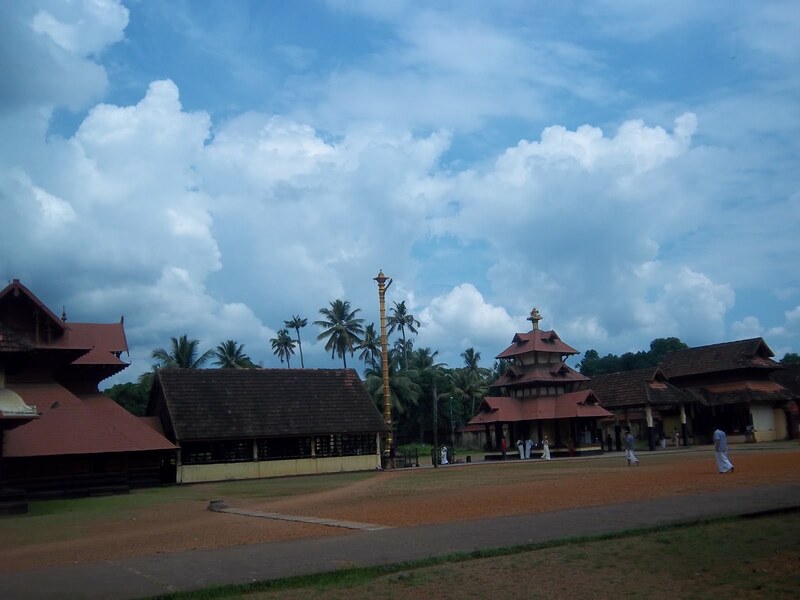 The temple compound is eight and a half acres of land and it is the largest temple compound among the temples in Travancore. 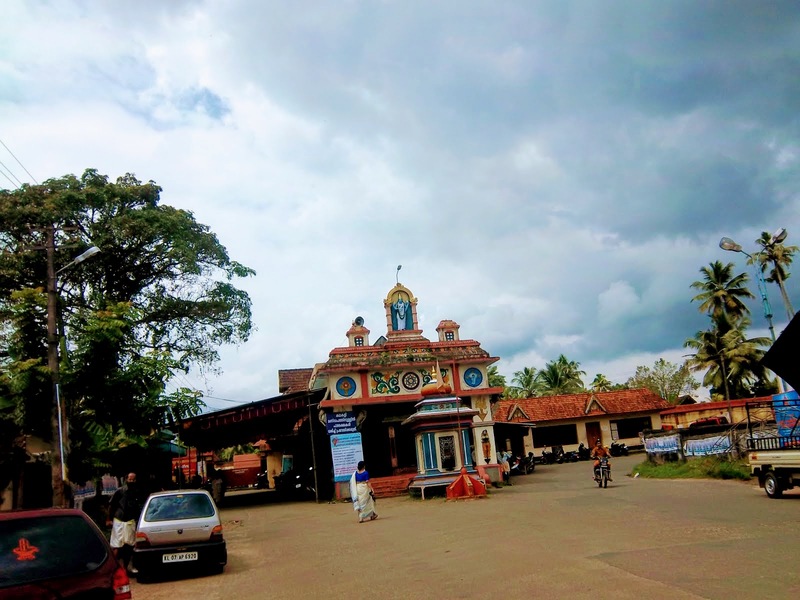 This temple is one of the 108 sacred abodes of Lord Vishnu and only 11 temples are in that category in Kerala including Sree Vallabha Swamy Temple, Thiruvalla. and so placed it in position by chains. 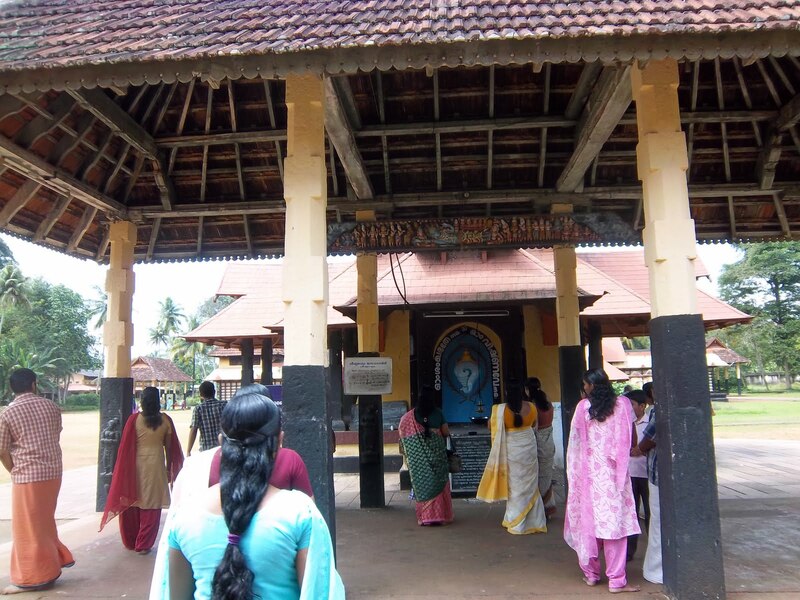 It was erected after two years of consecration of Sree Vallabha's idol. Kanda Karan, who is the chief leader of Siva Perumaan's Siva Ganangal (troop (or) Crew) and had a vulgour actions towards everything. He had a ugly structure and that fears all person who sees him. He gave Narabali (Killing peoples) for Siva Perumaan. 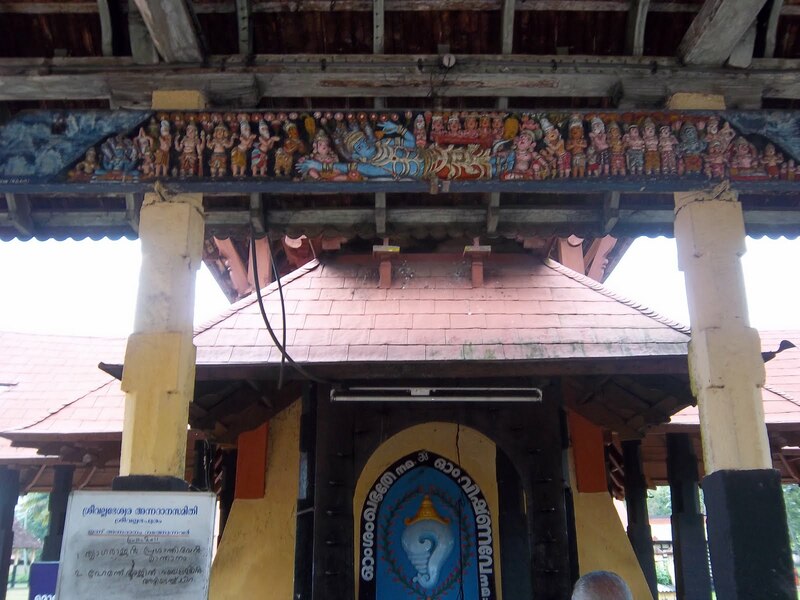 But, on seeing this, Siva perumaan ordered him not to give Narabali and asked him to worship the Emperumaan, Sriman Narayanan who is said to be the "Santha Sorubhee". He also said by worshipping him, he can get the Mukthi and can attain Paramapadham. On hearing this, Kanda Karnan, who was a great Veera saivan, changed to Vaishnavan and started to tell the Ashtakshara Mantram, "Om Namo Narayanaya". At the same time he left worshipped Siva Perumaan and tied two small bells on his ears to avoid hearing Siva Peruman's name (or) his mantram "Om Nama Shivaya". Inspite of not wanting to hear the mantram of Sivaperumaan, he was really thinking about him and at the same time he was having the bhakti towards Sriman Narayanan by expressing the Ashtakshara mantram. "Om Namo Narayana". By devoting both the Gods, Lord Shivan and Sriman Narayanan, he forgeot all of his previous actions and started completly to make Dhyanam towards the perumals. By doing so, he got his mukthi and attained paramapadham. 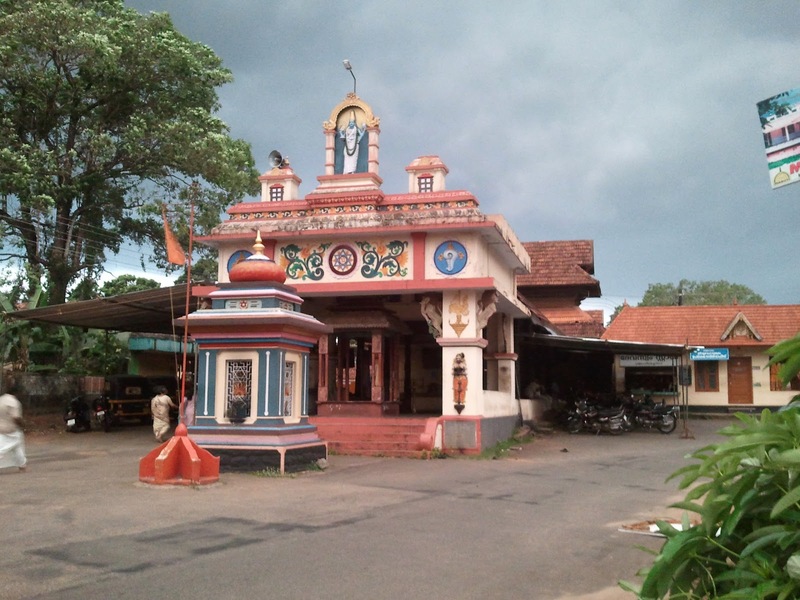 Thus by getting the mukthi through Kanda Karnan, the perumal explains about the ralation and unity of both the Saivam and Vaishnavam gods and explains that there should be no racism among the religion. To explains more about this, in this sthalam the thiru Neeru (Vibhoodi) is given as the "Prasadham" to the bhaktas. But, generally Vibhoodhi is given in Saivam temples only. This is one of the special explaination about the unity and explains that both the Gods should be treated as one. 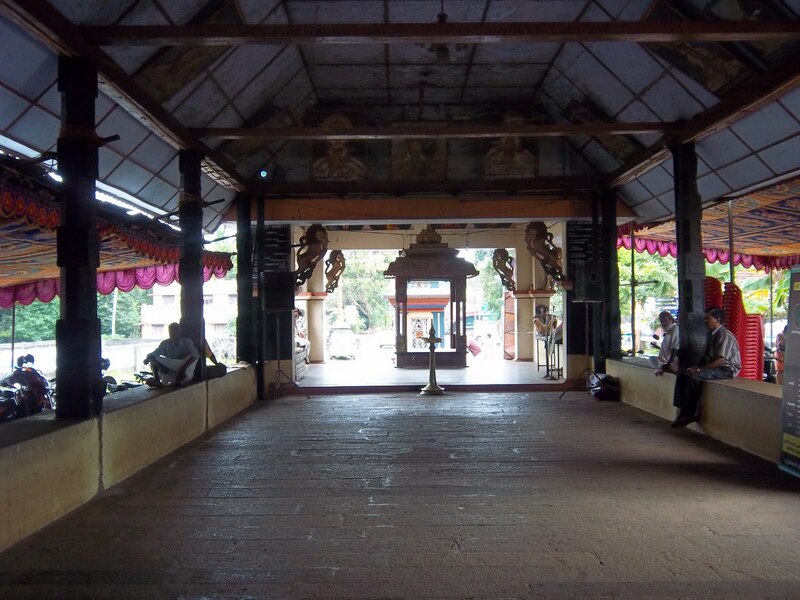 In this sthalam, there lived a good charactered women, by named "Sankaramangala thenmai". She had a great bhakti towards Sriman Narayanan and used to do fasting in Ekadesi and after finishing the Viradham (fasting), she used to give food for any Brahmachari. Likewise, in one Ekadesi day, she waited for a Brahmachari to give food. But at that time, a demon by named "Tholakaasuran" lived and she stood as an obstacle for her viradham and did not allow any persons to get the food from Sankara mangala Thenmai. 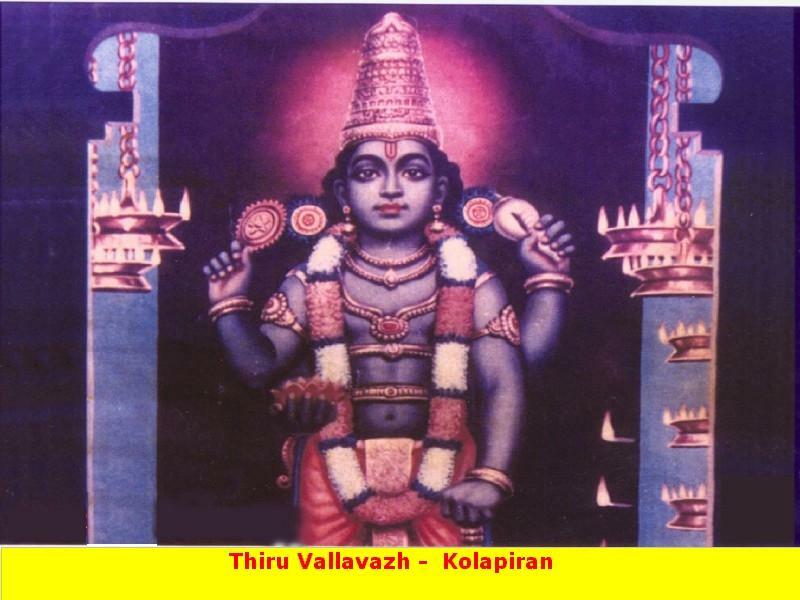 She was worried about this and prayed to this sthala perumal, Kolapiraan. At that time, accepting the request and pray of her, the perumal came towards her like a Brahmachari to get the food. On seeing him, Tholakaasuran tried to stop him and fought with him. During the fight, Tholakaasuran was killed by the perumal who came there in the form of a Brahmachari. After, Tholakaasuran was killed, the perumal in Brahmachari form went inside SankaraMangala Thanmai's house and started to eat the food offered by her. At that time, thorugh her Gnana eyes, she found but the perumal has come in the form of Brahmachari and asked him to move the cloth which screened his chest. After the cloth is removed, she could see Periya piratti inhis Thiru Maarbhu. Since, the perumal is so called as "Thiruvaazh Maarbhan". Since, he came as Brahmachari and showed the piratti, he is also called as "Sri Vallabhan". Since, the perumal gave his presence to explain the good character of a women, the selva Nayagi, periya piratti is named as "Selva thirukozhunthu Naachiyaar". Since, the perumal came as a brahmachari, the piratti is also called as "Vaathsalya Devi". Behind the Moolavar, Sudharsana Chakkram, who is said to be so powerful is found. So, it is great to get the seva of the perumal in front along with Lakshmi piratti in his chest and behind the perumal, we can worship, the Sudharsana Chakkaram. Another special news about this sthalam is, there is one separate sannadhi for Thiruppaan Alwar, where no ladies are allowed, only gents are allowed into the sannadhi. Childless couples who offer their sincere prayers at this temple are said to be blessed with children. As part of this prayer, it is a tradition to organise Kathakali to invoke the blessings of Lord Vallabhan. Another tradition is that the Lord is presented with 12000 ripe bananas, half of which is distributed to the devotees. Festival: Aaraatu on Poosa star day in the month of Masi (February-March) with a flag hoisting 10 days earlier is very grandly celebrated in the temples followed by Archanas the next day. Other pujas are not performed on this day. 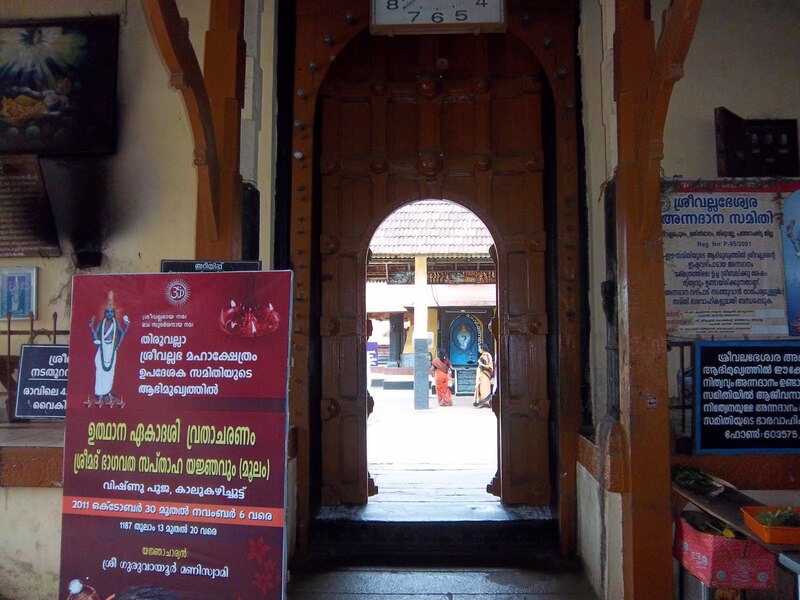 The temple is open from 05:00 a.m. to 11:45 a.m. and from 05:00 p.m. to 08:00 p.m.
3 kms from Thiruvalla Railway Station which is in between Kollam - Ernakulam railway lane. We can reach this sthalam also by bus that goes towards kottayam. For staying, Chattirams are available.